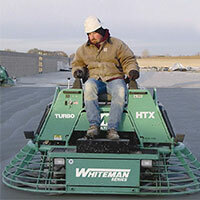 Full service equipment dealer and material supplier for your concrete needs. The ConQuip division of Superior provides the concrete contractor with the latest tools, equipment, supplies, and expertise to pour, screed, consolidate, color, and imprint concrete whether for a slab or a wall. From power screeds, Soff-Cut early entry saws, and ride-on power trowels to high-cycle vibrators, imprint stamps and in-house custom liquid colorants; ConQuip features the latest technology to assist the concrete contractor in producing the finest quality cast-in-place concrete. As a division of Superior, the ConQuip product lines can be accessed through the Southington, South Windsor, Norwich and Bridgeport locations. ConQuip Technologies is Connecticut’s concrete destination for sales, rentals, service, leasing, decorative concrete materials and more!